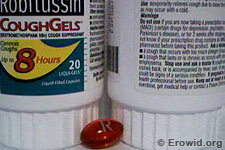 Many DXM-containing products (such as Coricidin Cough and Cold) also contain other active ingredients which can be dangerous or fatal in high doses. Please read about DXM-only products. Is Coricidin Hpf harmful to use?